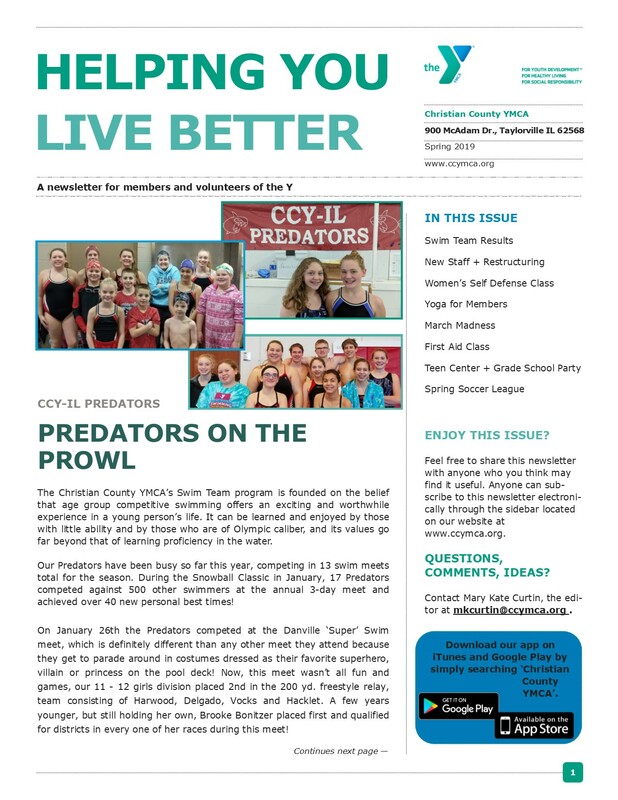 The Christian County YMCA produces quarterly newsletters to keep members and volunteers informed and updated on current events, programs and changes at the Y. To download our newsletters, simply click the link below. Thank you for reading and feel free to share. Please email any comments, questions or ideas to Mary Kate Curtin at mkcurtin@ccymca.org.